Watch American Crime Story: Versace Season 1 Episode 5 online via TV Fanatic with over 1 options to watch the American Crime Story: Versace S1E5 full episode. Affiliates with free and paid streaming include Amazon. 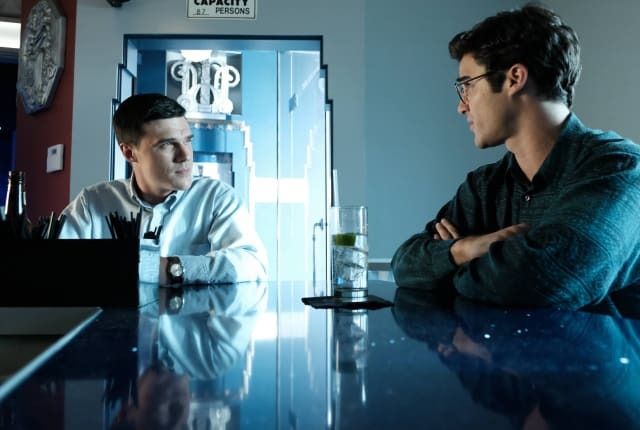 On American Crime Story: Versace Season 1 Episode 5, Gianni Versace reveals his sexuality to the world, while Naval officer Jeffrey Trail meets Andrew Cunanan. Antonio: I know my place. Unlike you. Donatella: What is my place? Permalink: What is my place? Jeff: He's got no one. He's got nothing. Everything he's told you about his life is a lie. You know that, right? David: Do you even like him? Permalink: Do you even like him?